Jamaica Celebration Dinner Buffet 4:00pm-8:00pm Every Friday For The Month Of August! Come down for our all you can eat Lunch Buffet on Tuesday, Wednesday and Thursday 12pm-2pm and on Sunday 12pm-4pm for an all you can eat Brunch! About Us - Dine In or Take Out! We are a small, family-owned restaurant in the Houston, TX area. 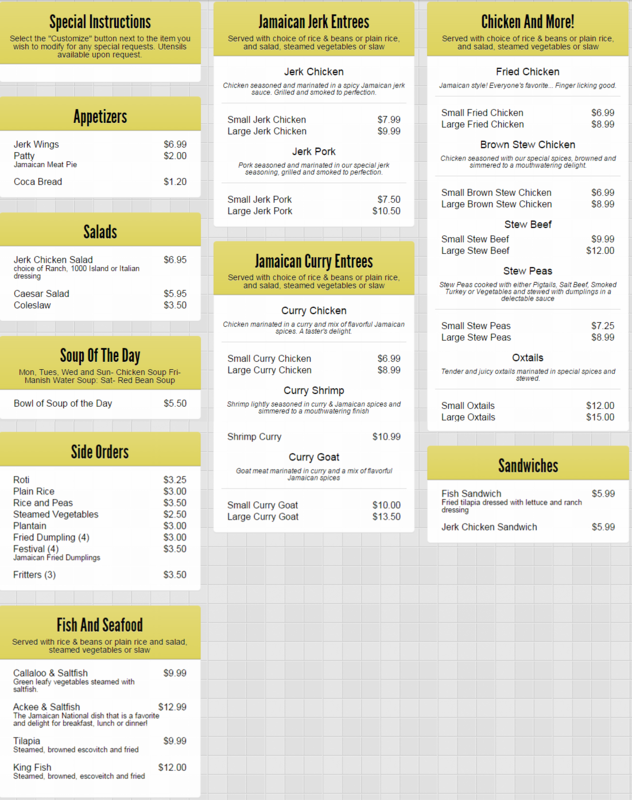 Our restaurant is owned and operated by Jamaicans, so we know how to cook real Jamaican food. If you are looking for authenticity, quality, and great service, you have come to the right place! Our comfortable atmosphere and impeccable service make our guests feel at home. We know that returning customers are the backbone of any business, so we will make sure that you want to come back to Tropical Diner West, and that you want to bring your friends! In addition to dine-in services, our authentic Jamaican restaurant also offers catering and delivery. We can cater a small party or a large event, and we can even host your party in our event hall. Whether you are dining in, ordering out, or using our catering service, you can be sure of the same delicious food and the same excellent treatment! Come in today for the best authentic Jamaican food in Houston, TX. We also serve Caribbean Food!